Three powerful books about kids dealing with major issues. Troubled kids, wise and compassionate kids. 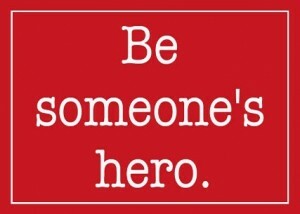 Be Someone’s Hero is the message on a sign that foster child Carley finds in her borrowed bedroom. 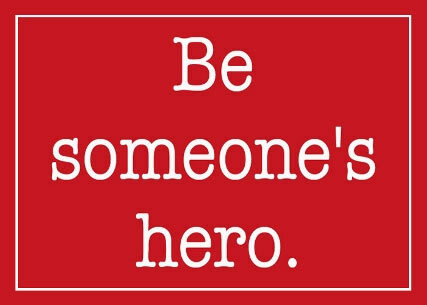 She’s in need of a hero herself, having just been released from the hospital after being severely beaten by her mother’s boyfriend, and not only finds that in Julie Murphy, but manages her own gestures of heroism. 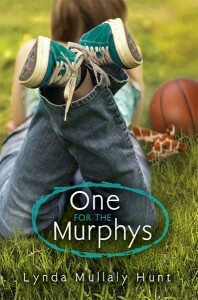 In Lynda Mullaly Hunt’s One for the Murphy’s (Nancy Paulsen Books, 2012), Carley is welcomed into the complex family life of good people and comes out the other side with a dilemma, but a vision of who she will become. Each character breathes with energy and verve, there are misunderstandings, snarky moments, humor and a kind of personal sharing that Carley craves. I spent some time with the author in New York during the SCBWI conference and when I read Carley’s voice, I heard and saw Lynda. The moment I turned the last page I wanted to be a witness to Carley’s brave story again. So, I read it out loud to my husband. There are so many books to read that I don’t normally read them twice. Carley teaches us good things about dealing. On Friday night, during the opening presentation of the Newburyport Literary Festival, Matthew Quick of Silver Linings Playbook fame introduced us to hopeful stories of those the world has inflicted with emotional trauma. 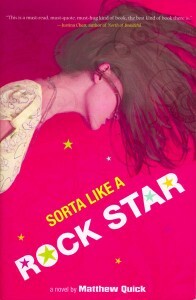 In Sorta Like a Rock Star (Little, Brown and Co. 2010) Amber Appleton may be homeless, passing nights with her alcoholic Mom in a parked school bus, but she is in her own words a “hopeful misfit.” The ideosyncratic characters she befriends – from a haiku writing ‘Nam vet to Korean church-going immigrants, handicapped kids, and the depressed denizens of an old folk home – are all improved by knowing Amber. She cajoles them into doing more, being more, but when a shocking tragedy finally bowls her over and she succumbs to the debilitating power of hopelessness, they rally in a big way, bringing the story arc to a rousing denouement. She then defiantly faces her demon, paving the way for healing. Quick, who likes to be called Q, has played with format in ways that enhance the power of the drama in the lives of these richly depicted anomalous people. I am eager to delve into his Boy 21 next. 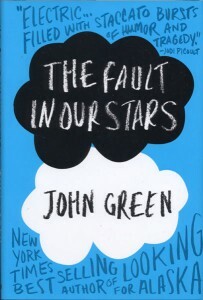 Months ago I was swept away by John Green’s duly revered The Fault in Our Stars (Dutton, 2012). Like the many layers of delicious filo pastry, this narrative interleaves human passions with wisdom from literary greats like Shakespeare (from whence the title comes) to the annoying, fictional Peter Van Houten, formed into a delicious story laced with humor, tragedy, and the ironies of life. From the onset when Hazel meets Augustus Waters, their terminal relationship soars impelled by sparkling dialogue, gallows humor, and the romance of following their dreams in spite of the Grim Reaper’s ugly shadow. Here are young people tackling some of the most profound and universal aspects of life and death and wringing every bit of joy, empathy and meaning out of their brief time on this planet. I savored it, then went on to other books that were piled up waiting…books that had been recommended to me by good people who know. I waded 70 pages into one contemporary realistic YA, put it down and started a humorous MG, put that aside and went for a realistic supposedly funny YA by the same author, but after 45 pages I went back to the first of these. Surely my bookstore friend must be right. Maybe I just had not given it a fair chance. But somehow, the journey was not there. 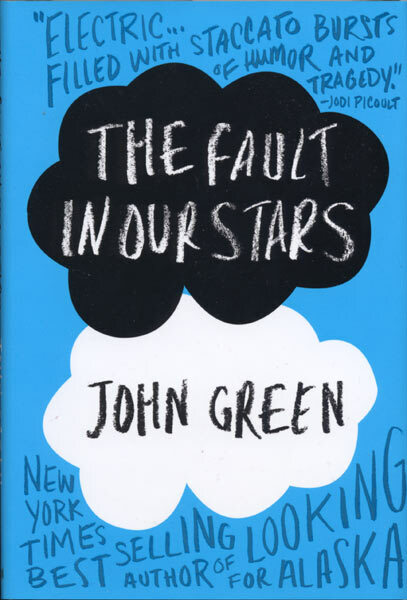 So I indulged myself and re-read The Fault in Our Stars, finding even more richness in it than I had seen before. Hazel and Augustus, Amber, and Carley are my heroes. No, they don’t need to wear capes. This entry was posted in children's books, e-books, reviews and tagged children's books, contemporary YA, middle grade fiction, YA fiction. Bookmark the permalink. Post a comment or leave a trackback: Trackback URL.